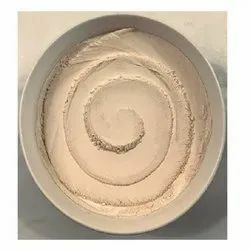 Prominent & Leading Exporter from Delhi, we offer garcinia extract- 50%, garcinia extract - 50% (water soluble), garcinia extract- 50% (granules), garcinia extract- 60%, garcinia extract- 60% (granules) and garcinia extract- 75%. The rind contains a chemical called hydroxycitric acid (HCA), which has been studied for its effect on appetite. Garcinia Extract - 50% supplements with HCA are marketed for weight loss. Garcinia Extract - 50% has also been used as a dietary supplement for rheumatism, intestinal problems, and other conditions. Garcinia Extract - 50% is made into a tea, capsules, Extract - 50%s, tablets, and lotion. Garcinia Extract - 50% (Water Soluble)(Malabar tamarind) is native to India and Southeast Asia. 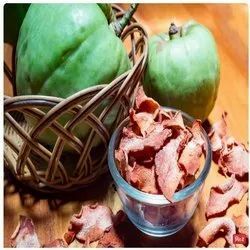 The rind of its fruit is used to flavor fish curries and preserve food. The rind contains a chemical called hydroxycitric acid (HCA), which has been studied for its effect on appetite. Garcinia Extract - 50% (Water Soluble)supplements with HCA are marketed for weight loss. Garcinia Extract - 50% (Water Soluble)has also been used as a dietary supplement for rheumatism, intestinal problems, and other conditions. Garcinia Extract - 50% (Water Soluble)is made into a tea, capsules, Extract - 50%s, tablets, and lotion. 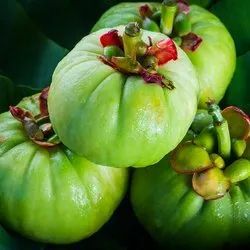 Garcinia Extract - 50% (Granules) is native to India and Southeast Asia. The rind of its fruit is used to flavor fish curries and preserve food. The rind contains a chemical called hydroxycitric acid (HCA), which has been studied for its effect on appetite. Garcinia Extract - 50% (Granules) supplements with HCA are marketed for weight loss. Garcinia Extract - 50% (Granules) has also been used as a dietary supplement for rheumatism, intestinal problems, and other conditions. Garcinia Extract - 50% (Granules) is made into a tea, capsules, Extract - 50%s, tablets, and lotion. Garcinia Extract - 60% (Malabar tamarind) is native to India and Southeast Asia. The rind of its fruit is used to flavor fish curries and preserve food. The rind contains a chemical called hydroxycitric acid (HCA), which has been studied for its effect on appetite. Garcinia Extract - 60% supplements with HCA are marketed for weight loss. Garcinia Extract - 60% has also been used as a dietary supplement for rheumatism, intestinal problems, and other conditions. Garcinia Extract - 60% is made into a tea, capsules, Extract - 60%s, tablets, and lotion. Garcinia Extract - 60% (Granules) is native to India and Southeast Asia. The rind of its fruit is used to flavor fish curries and preserve food. The rind contains a chemical called hydroxycitric acid (HCA), which has been studied for its effect on appetite. Garcinia Extract - 60% (Granules) supplements with HCA are marketed for weight loss. Garcinia Extract - 60% (Granules) has also been used as a dietary supplement for rheumatism, intestinal problems, and other conditions. Garcinia Extract - 60% (Granules) is made into a tea, capsules, Extract - 60%s, tablets, and lotion. Garcinia Extract - 75% (Malabar tamarind) is native to India and Southeast Asia. The rind of its fruit is used to flavor fish curries and preserve food. The rind contains a chemical called hydroxycitric acid (HCA), which has been studied for its effect on appetite. Garcinia Extract - 75% supplements with HCA are marketed for weight loss. Garcinia Extract - 75% has also been used as a dietary supplement for rheumatism, intestinal problems, and other conditions. Garcinia Extract - 75% is made into a tea, capsules, Extract - 75%s, tablets, and lotion. 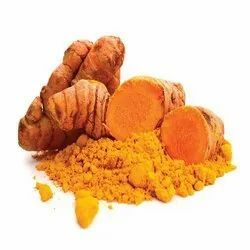 The most common applications are as an ingredient in dietary supplement, in cosmetics, and as flavoring for foods, such as turmeric-flavored beverages in South and Southeast Asia. 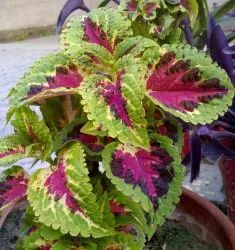 Because the type species, Coleus amboinicus (Plectranthus amboinicus) is now placed in Plectranthus, Coleus is regarded as a synonym of Plectranthus. 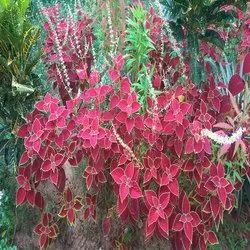 The term "coleus" is often used as a common name for species formerly placed in the genus Coleus that are cultivated as ornamental plants, particularly Coleus blumei (Plectranthus scutellarioides), which is popular as a garden plant for its brightly colored foliage. Unlike the other plants, this plant is pointing the opposite direction of the sun.